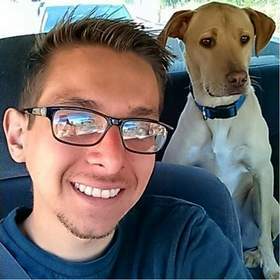 Case of Elijah "Bear" Diaz to Air on Investigation Discovery on Sunday, April 23 at 7 p.m.
EL CAJON, CA--(Marketwired - Apr 13, 2017) - After almost two years, the family of Elijah "Bear" Diaz, who continue to search for clues in the young man's disappearance, are hopeful that a nationally-televised program, "Disappeared," will help them find answers and bring Bear home. True Crime Network Investigation Discovery's Hit Series "Disappeared" will air on Sunday, April 23 at 7 p.m. The program will share the story of Bear, missing since August 2015 from El Cajon, Calif., who was twenty years old at the time of his disappearance and is a member of the Barona Band of Mission Indians. He has juvenile diabetes and, in the weeks prior to his disappearance, had been suffering from acute side effects of the illness, leaving him weak, immobile and vulnerable. He vanished from his home in the middle of the night along with his TV, backpack and some cash. The family has had no communication with Bear and believe he was the victim of foul play. "We are encouraged that this national focus on Bear's case will spark someone to remember any clues that might help us find him," said LeLanie Thompson, Bear's mom. "We miss our son and won't stop looking for him until we have some answers about his disappearance. We appreciate the community's continued support." Friends and family members have been volunteering their time since he first went missing. They have canvased the community, held candlelight vigils and worked with police and private investigators to help gather information in the hopes of bringing him home. Bear was last seen wearing white basketball shorts and a gray sleeveless t-shirt. He is 5' 10", approximately 110 pounds and has brown hair and brown eyes. He disappeared from his home in El Cajon in East San Diego County. Locally, the Investigation Discovery network airs on Direct TV (channel 285), Cox Cable (channel 80), ATT (HD1260 or 260), Time Warner/Spectrum (channel 77 or 138) and DISH (channel 192). Please check local listings with your cable provider in your area. Anyone with tips regarding Bear is asked to contact San Diego Crime Stoppers at sdcrimestoppers.org or 888-580-8477. Elijah "Bear" Diaz Missing Since August 2015 from El Cajon, Calif.